A nose that is too large, long, or wide in comparison to the rest of the face. Concern about hook or bump on the central nose, or a bulbous tip on the end of the nose. This outpatient procedure takes one to two hours and is performed in our AAAHC accredited surgery center. Incisions are made inside the nostrils and occasionally across the lower mid-section of the nose and are well-hidden. Excess bone and cartilage are removed, reshaped, or redistributed. The skin molds down around this rearranged framework to arrive at the final cosmetic appearance. The septal cartilage in the middle of nose is molded to allow for better breathing. A splint is applied over the nose for a week to hold the tissues in place and decrease swelling. You will come in the day after surgery for a checkup; sutures are removed after six days. You should sleep and rest with your head elevated for a week after your surgery. Pain is minimal to moderate and is easily controlled with medication. You may experience some congestion and nasal drip for two to three days. Mild to moderate swelling peaks at two days after the surgery and then disappears rapidly over the next three weeks. You may also have minor swelling that slowly resolves over the next six to twelve months. Minimal bruising may appear around the eyes and cheeks. This maximizes at two days after surgery and then disappears rapidly over the next three to five days. You may resume many activities within the first week and most by the end of three weeks. A softened and beautifully balanced nose to compliment your other facial features. Natural and presentable appearance at the end of the first week that only improves over the next three to six months. In the old days of purely “reductive” closed rhinoplasty, plastic surgeons would perform a rhinoplasty by simply removing cartilage, removing bone and thereby narrowing and shrinking the nose. 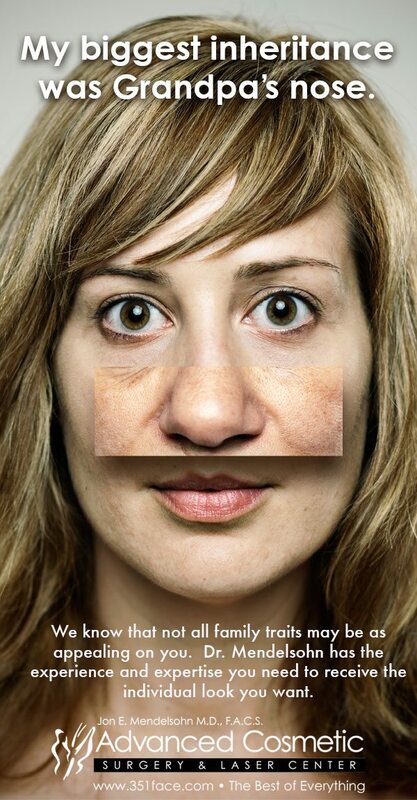 With time, the unpredictable nature of scar tissue contracture would end up distorting many of these noses. The results were unnatural appearing noses. With today’s techniques, the rhinoplasty surgeon utilizes more grafts and struts and below is a list of useful terminology for today’s open approach. These are cartilage grafts that are placed between the medial crura of the Lower Lateral Cartilages (LLC) and provide support to the tip. Sizes can vary. Positioning and shape can affect rotation of the tip and projection. Very strong columellar struts can be fashioned from rib cartilage to allow building of the tip in revision rhinoplasty or in significantly short & under-projected noses. Larger sheet of cartilage or fascia or implants placed at the naso-labial junction as the foundation for the base of the nose, in patients with severely under developed pre-maxillas. Cartilage grafts in various shapes, widths, and lengths (typically resembling a medieval armored shield) placed over the medial crura of the Lower Lateral Cartilages (LLC) extending to the domes or even above. Used to modify the tip and create new and better tip defining points. Can be used to increase projection if the graft extends above the domes of the LLC. Can be used to create a more refined and narrow tip. Can be used in a layered or stacked manner to de-rotate the tip in short, upturned noses. Very commonly used in thick skin Rhinoplasty patients to create better tip definition. Small oval shaped cartilage grafts placed on the upper back portion of an extended shield type tip graft to add support and prevent the upper end of the shield graft from bending backward. Used in cases where extended shield grafts are used and placed above the lower lateral cartilage domes for added projection and length. Larger oval shaped cartilage grafts placed over or under the lateral portion of the lower lateral cartilages and extending to above the pyriform aperture bone. Used to support the lateral ala (nostrils) and prevent pinching or collapse. Can be used for cosmetic purposes but often used for functional purposes to prevent dynamic alar collapse during inspiration. Cartilage grafts placed at the alar rims to provide support and prevent pinching or collapse in rhinoplasty patients with thin nostril skin. May be used to correct minimally retracted alar margins. Usually cartilage grafts harvested from the ears with the skin also attached to the cartilage. These are used to correct vestibular stenosis as well as correct moderate to severely retracted or notched alar margins. Cartilage grafts placed between the upper lateral cartilages and the dorsal septum. Very useful grafts in prevention of some post-operative Rhinoplasty deformities as well as correction during revision Rhinoplasty. Sutured into placed. -Help de-rotate an over rotated nose when used as a D.A.R.T. Spreader grafts can improve breathing by opening the internal valve area between the dorsal septum and the upper lateral cartilages. Cartilage or fascia grafts placed over the middle vault, or dorsum to add bulk, width, or height. Can be crushed or morsalized cartilage. Not “functional” grafts usually but mostly cosmetic. Cartilage, diced cartilage, or fascia grafts placed at the radix to increase the height of the radix and the “nasal starting point.” These grafts may show their edges in thin skinned rhinoplasty patients. Very useful and powerful grafts placed to increase the length of the septum and nose. Used in ethnic patients with short noses or in revision rhinoplasty cases. Usually this graft is taken from rib cartilage but thick septum or double layer ear cartilages can also be used. Soft tissue graft used in patient with very thin skin to help camouflage and create a smoother nose. Can be used at the tip, dorsum or radix. Alloderm, which is a cadaveric a-cellular dermal graft, can also be used as an easier, but more expensive alternative. An absorbable braided suture that can be used in Rhinoplasty but not the best choice. It can cause inflammation, infection, or extrusion (spitting of the suture). A fantastic mono-filament (non-braided) absorbable suture that can be used in Rhinoplasty. Often used in a 5.0 size for dome defining sutures. A fantastic mono-filament (non-braided) absorbable suture that can be used in Rhinoplasty. Often used in a 5.0 size as dome defining sutures, or 6.0 for securing tip grafts. Takes a few weeks to months longer than Monocryl to absorb. Quickly absorbing sutures used in Rhinoplasty to close internal incisions. Fast Absorbing Gut dissolves quicker than Plain Gut but the two are very similar. Used in 3.0, 4.0, 5.0 and 6.0 sizes. Quickly absorbing sutures used in Rhinoplasty to close internal incisions. Permanent mono-filament suture that can be used in certain areas of the nose during Rhinoplasty. It is often unnecessary and can be substituted with PDS. The suture is not removed if used internally. Permanent mono-filament suture that is often used in a 6.0 or 7.0 size to close external Rhinoplasty columella incisions. The suture is removed in 3-7 days if used externally. Permanent braided Polyester suture used by some Plastic Surgeons in Rhinoplasty. High risk of infection and post Rhinoplasty problems. A large portion of the Septal Quadrangular Cartilage can be harvested and used during rhinoplasty. In revision rhinoplasty, this cartilage is often missing and unavailable, as it may have been used during the previous Rhinoplasty surgeries. Septal cartilage is the first choice of cartilage for most Facial Plastic Surgeons. A portion of the perpendicular plate of the ethmoid bone, at the back-top end of the septum, can be used for graft material although not ideal. A greatly versatile source of cartilage for grafts. Incisions can be placed in front or behind the ear(s). Cartilage can be harvested from various parts of the ear and used in rhinoplasty and revision rhinoplasty. Under skillful hands, no major cosmetic deficits should be noticed with the ears after surgery. Powerful grafts taken from the ear including cartilage and attached skin. Used to correct “soft tissue triangle defects” as well as retracted nostrils and vestibular stenosis. Very technically challenging grafts to place and do not always survive. Soft tissue taken from behind the ear to help camouflage areas, in thin skinned rhinoplasty patients. Strong soft tissue layer covering the temporalis muscle, used to camouflage areas in rhinoplasty patients with thin skin. It can also be used to augment the radix. Large, strong cartilages harvested from the ribs 5,6,8,9,or 10. Used when abundant cartilage and building material is needed in rhinoplasty or revision rhinoplasty. Often used to build up the bridge or lengthen the tip. Frozen or Irradiated cadaver rib may also be used. When carved properly, these cartilages have a minimal risk of warping. Bone from the ribs, skull, scapula or hips can be used in major reconstructive cases. Permanent implant that resembles “cheese cloth.” Often used in general surgery to fix hernias. Can be layered and used nicely as a chin implant. -Not a good option in the nose due to risk of acute or delayed infection. Permanent soft plastic implants. Comes in sheets or in pre-formed strut type implants. -Not a first option in the nose due to risk of acute or delayed infection. Pre-made implants in different shapes and sizes. Very commonly used for Asian rhinoplasty. – Not a good option in the nose due to risk of acute or delayed infection as well as shifting. – Not a good option in the nose due to risk of acute or delayed infection as well as shifting. Very difficult to remove once in place for a few weeks. Cellulose sheets used for hemostasis. Used abroad for radix grafts as a “Turkish Delight” which is diced cartilage wrapped in Surgicel. Temporalis Fascia is a much better alternative. Simple type stitch placed between the cephalic, lateral aspects of the Lower Lateral Cartilages to reduce tip convexity. Must be used carefully as it can create alar rim retraction. Suture placed to position the tip in relationship to the rest of the nose by placing a suture from the septum to the columella. It is also used in “Tongue-In-Groove” maneuvers to suspend a “hanging columella.” There are many other stitches used in Rhinoplasty to attach grafts or bend and manipulate cartilages. 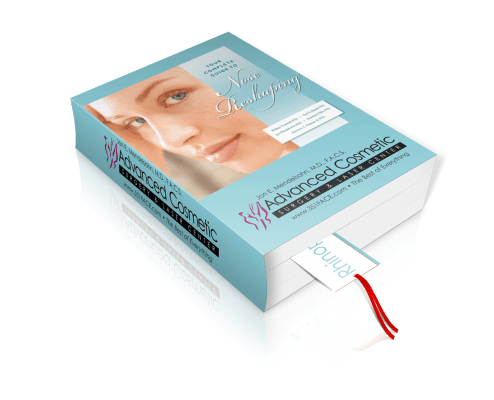 There are also other less commonly used grafts and suture materials in Rhinoplasty and Revision Rhinoplasty that can be used in certain situations.